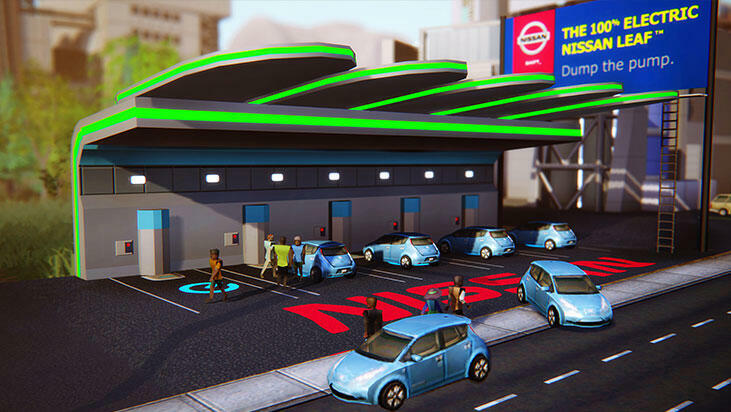 Maxis and EA Games’ first chunk of post-release DLC for the troubled SimCity will help players go green via a Nissan LEAF Charging Station. A free in-game item that will bring a single wave of happiness to the nearby businesses, this Nissan-sponsored object produces no sewage or garbage – acting as a pollution-free structure. It’s self-sufficient, as it also doesn’t take power, water or workers away from your actual city. It’s pretty much the perfect item, so if you want to see your SimCity residents driving around town in new, electric cars, follow the link and get the fresh item right now. Are you still playing this city simulation? Will you be grabbing this free content? Let us know what you think by leaving a comment below!